An Indian startup company has developed a method for transforming carbon emissions from vehicles and chimneys into ink, and is now selling it in the form of pens. 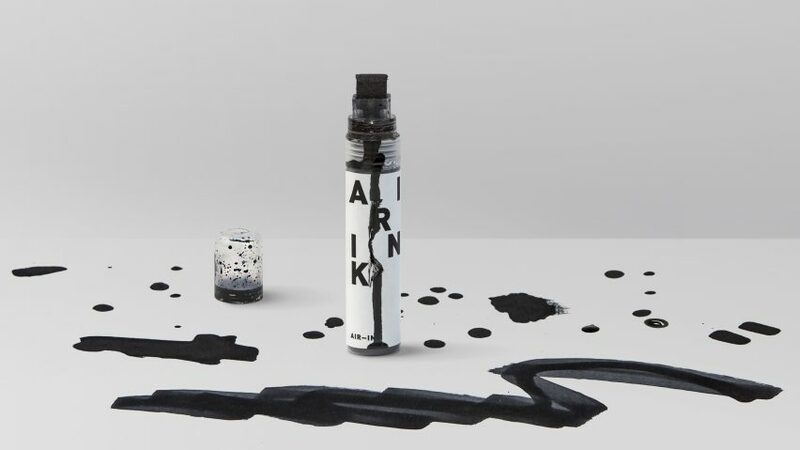 The Graviky Labs group is made up of MIT Media Lab graduates, who developed the method for capturing air pollution and turning it into ink while studying. The team's solution is called Air Ink. This is made from air pollution particles, namely the unburned carbon soot that comes out of car exhaust pipes, chimneys and generators. The process begins with a device developed by the team, named Kaalink, which captures the soot being emitted from these objects. The soot collected then undergoes various processes to remove heavy metals and carcinogens. The end product is a carbon-rich pigment. This pigment is then used to make different types of inks and paints, some of which the company have developed and launched for a Kickstarter campaign. According to the team, it takes just 45 minutes worth of vehicle emissions to produce enough ink for one pen. "The process of creating AirInk carefully detoxifies heavy metals and particle carcinogens from the soot or carbon," said the team. "The Pollutants which could have been in the lungs of millions of people are now beautifully resting as art." The team's work was prompted by the high levels of pollution, particularly in Asian cities. Similarly fuelled by this issue, Dutch designer Daan Roosegaarde has created a giant air purifier that he claimed could help "make a whole city smog free".